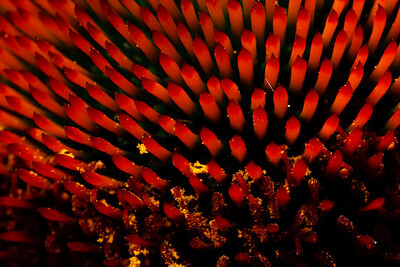 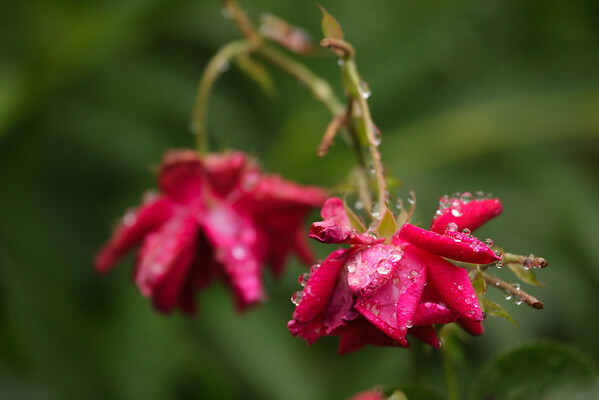 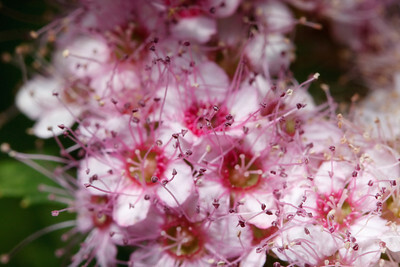 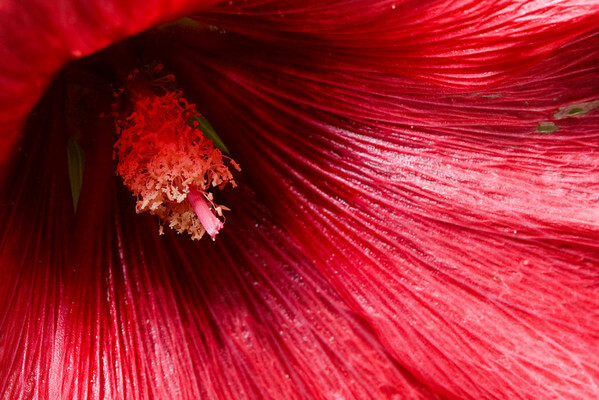 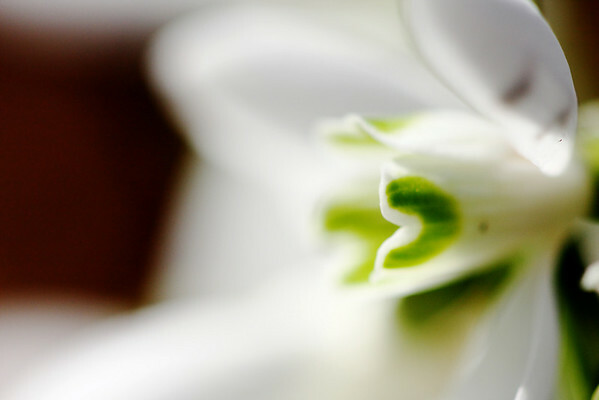 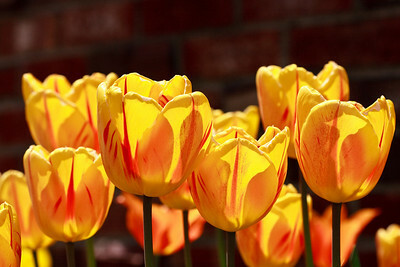 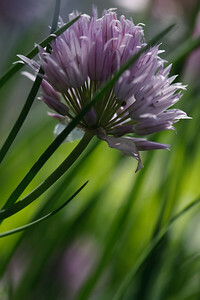 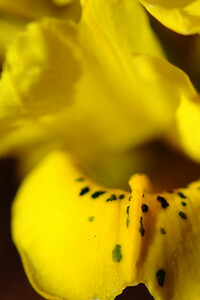 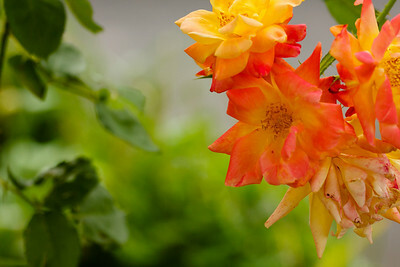 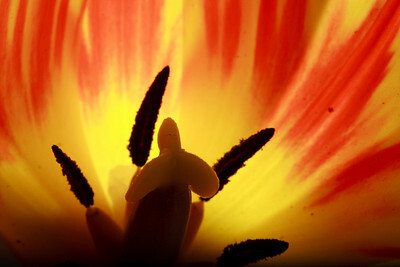 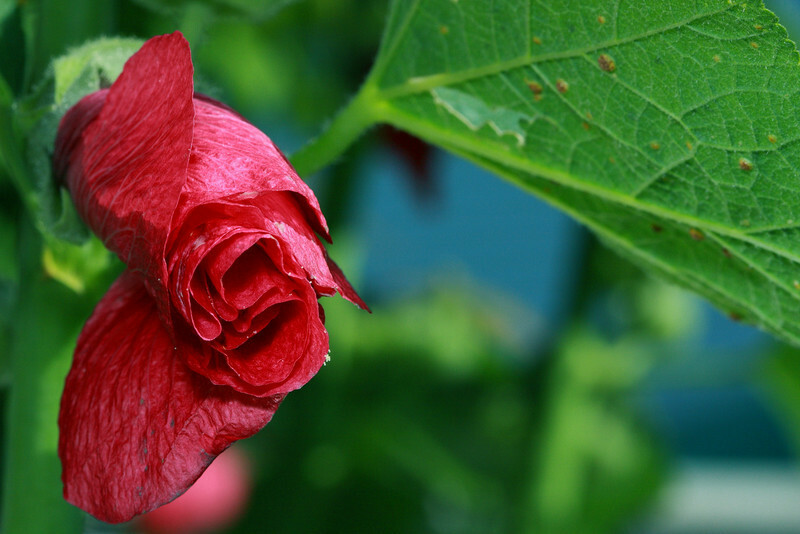 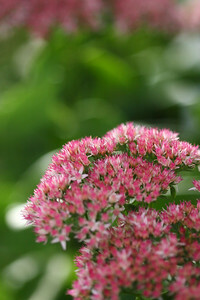 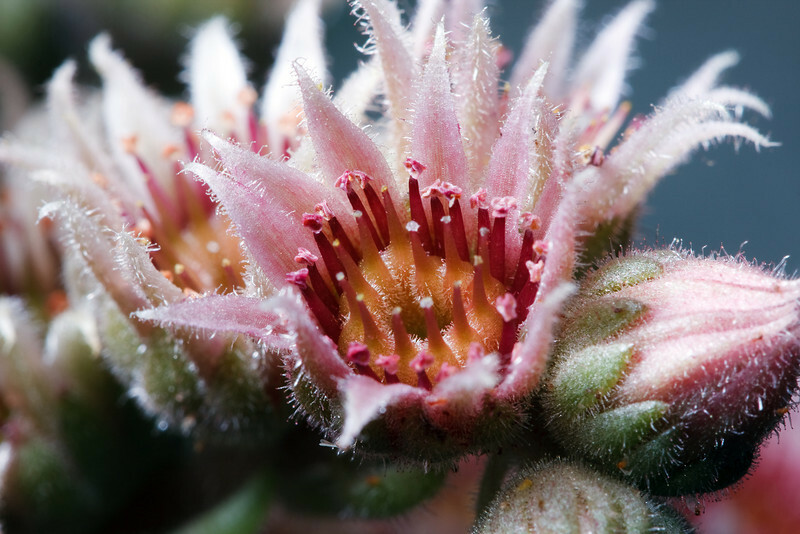 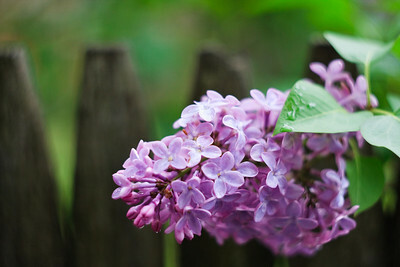 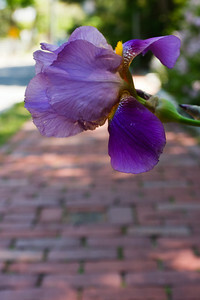 Fine art photographs of garden plants and flowers. 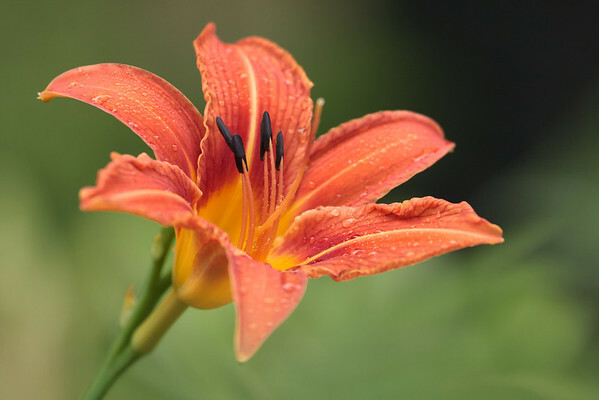 A day lily, wet after a brief summer rain. 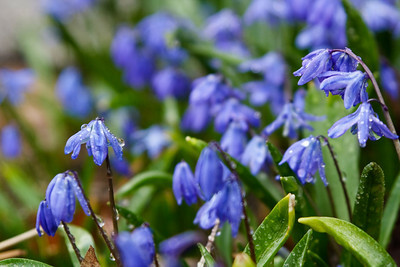 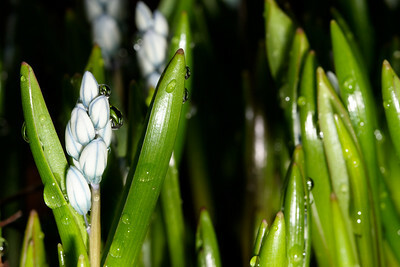 Buds on a small blue and white hyacinth flower after a brief rain. 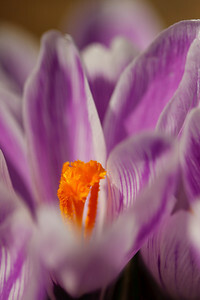 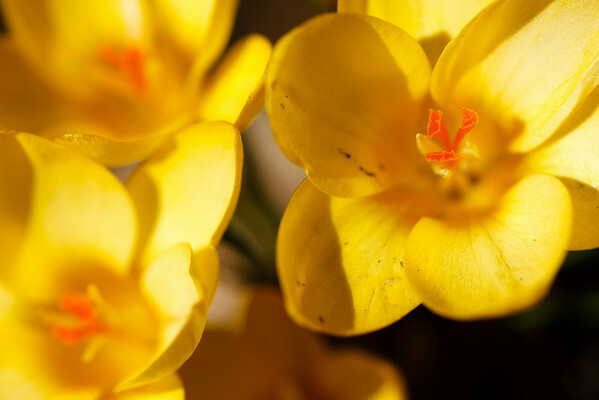 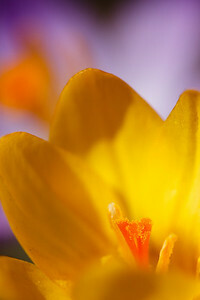 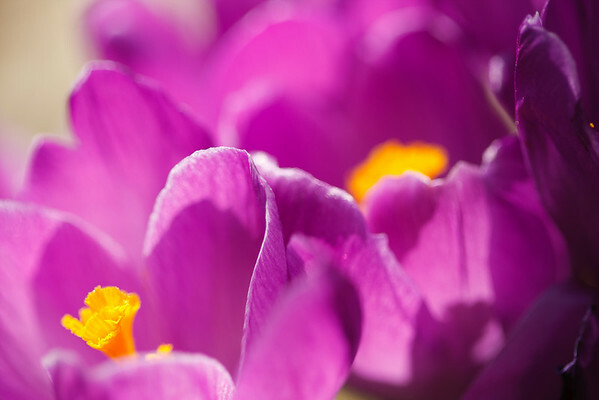 A yellow crocus, and a purple crocus behind it.